Mars is a planet in our solar system. Mars' core is made out of nickel and iron. Mars is made out of rock and dirt.It has a mantle made of liquid rock.Mars' core is made out of nickel and iron. Mars is made out of rock and dirt.It has a mantle made of liquid rockMars' core is made out of nickel and iron. Mars is made out of rock and dirt.It has a mantle made of liquid rock. mars gravity is too weak to support a thick atmosphere. Mars' weak gravity keeps the Matmosphere thin. Mars' atmosphere is a layer of carbon dioxide gas. This is poisonous to people. Mars is smaller than Earth. Mars has weaker gravity than Earth because it is smaller. If you weigh 32 kilograms on Earth, you would weigh 8 kilograms on Mars. 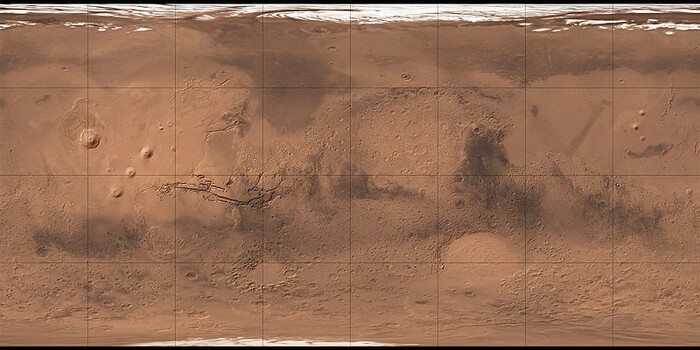 Mars has a surface full of red rocks, ice caps, red dirt and voIcanoes.It also has high mountains and deep canyons. 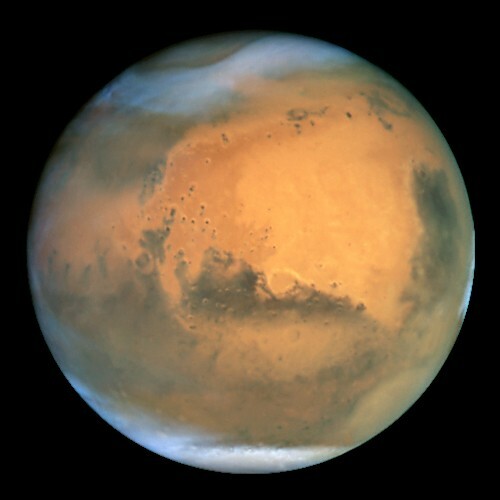 Mars has a maximum temperature of 36 degrees celsius. Mars has a minimum temperature of -123 degrees celsius. 1 year on Mars equals 686 Earth days. 1 day equals 24 Earth hours and 36 minutes. People send satellites,landers and rovers to Mars.They tell us what it is like on Mars.